Why not keep the controlled destruction and use the new Aura Zealoustry? It seems to increases base crit of winter orb, and grant 15% MORE spell damage. With Enlighten, it should address the mana reservation issue. Or is this build cost too much mana to utilize the low mana count? PS: Great mind thinks alike. Your skill tree is like 99% identical to the new set-up I self created a day ago. Only difference is I grabbed the jewel on the scion tree middle instead of the shadow one on the right. I honestly have no idea why you pick the dex one instead of getting free 18% res x 2. Regarding the new Aura, I tested it with hatred (same mana cost reserve, even with Enlighten level 4 it gives us -3% mana (Herald of Thunder/Ice + Aspect of the Spider). Early on you can use it, I will prolly do the same - thanks for that! But late game I don't know if I want to miss out Aspect of the Spider. Regarding the Jewel socket, that's not final as of now, firs the shadow area gets changed as we see in the twitter post: So Shadow area will be a 2point Jewel and Scion one a 3point one. So the one I'm using in POB atm is not the FINAL VERSION? This is way worse than the previous version. Also why create a wheel that FORCE shadow into grabbing area of effect on the top wheel when not all build use area of effect? The previous new version makes much more sense. also those suggesting to use zealotry to increase crit chance and 15% more damage, you can do the same with half the mana with aspect of spider. Consecrated ground on hit is useless since the ground is created on the mob's ground, not below you lol. Tanks for the hard work Lyxara, I will definitely start with this build. 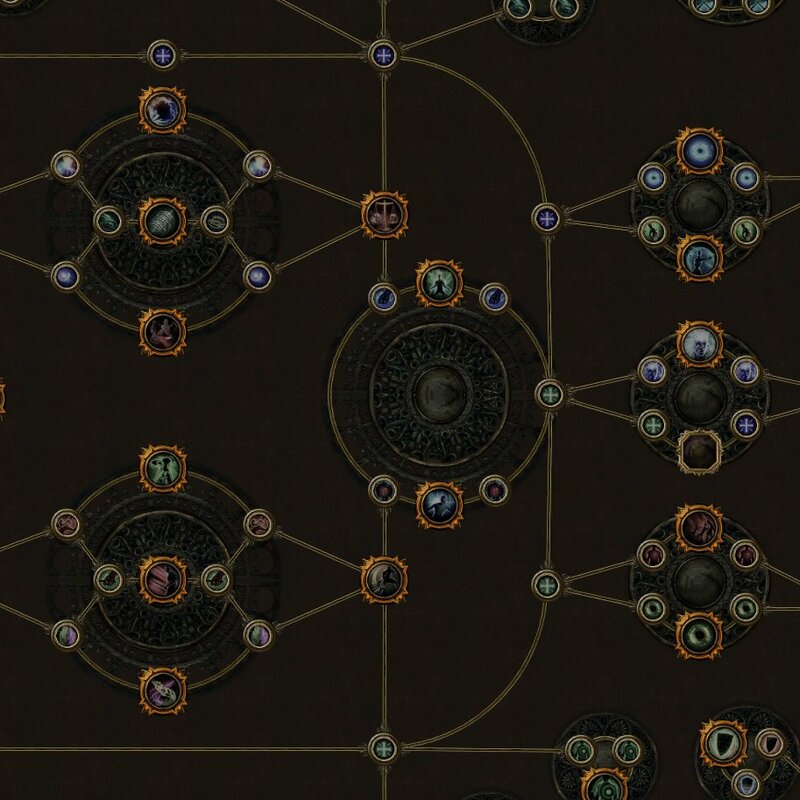 I just have a question regarding new 3.6 nodes. Isn't it interesting to go find Singular Focus nodes ? That was my first intention to go over there to get them, but Lucidity - which is on the way to the shadow area, has same amount of damage and even has some chance to avoid being stunned when you channel your orb, which is nice. What about the spiritual aid node and bone helmet for extra damage?